Federal University of Agriculture, Abeokuta, #FUNAAB 26th Convocation Ceremony programme of events for the conferment of First Degrees, Postgraduate and Honorary Degrees. 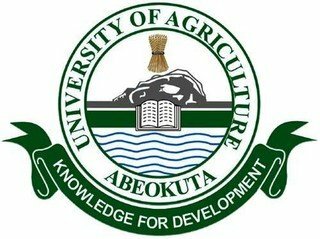 Preparations are in top gear as the Federal University of Agriculture, Abeokuta (FUNAAB), is set to hold its 26th Convocation Ceremony for the 2016/2017 academic session. According to the programme of activities lined up for the ceremony and signed by the Registrar, Dr. ‘Bola Adekola, the Seven (7) days event will start on Friday, November 16, 2018 with a Jumat Service at the University Mosque by 1.00pm. The ceremony continues on Sunday, November 18, 2018 with an Interdenominational Church Service at the University Chapel by 9.30a.m. while a Press Conference is slated for 10.00am at Senate Chamber. Commissioning of projects will follow the Press Conference on the same day by 12 Noon at different sites. Come Tuesday and Wednesday, November 20 and 21, 2018, Research and Agricultural Fair will hold at FUNAAB Ceremonial Building at 10.00a.m. Intellectual discourse will take the centre stage on Wednesday, November 21, 2018 when the Convocation Lecture will hold by 2.00pm at the Ceremonial Building. Renowned Historian, Professor Toyin Falola of the Department of History, University of Texas, USA will deliver the Convocation Lecture titled, “Food and Us, Poverty, Policies and Politics” under the Chairmanship of Professor Anthony Ijaola Asiwaju, Emeritus Professor, University of Lagos. Chancellor’s Cocktail in honour of the Convocation Lecturer follows immediately by 3.00pm at FUNAAB Ceremonial Building Auditorium. Convocation Ceremony will climax the week long event on Thursday, November 22, 2018 with Conferment of first Degrees by 10.00am at FUNAAB Ceremonial Building Auditorium. The conferment of Postgraduate and Honorary Degrees at 9.00am on Friday 23rd November 2018 at FUNAAB Ceremonial Building Auditorium will end the week-long activities commemorating the ceremony.